Seaman’s Beverage & Logistics is conveniently located near the Port of New York and New Jersey. It’s a game changer when it comes to logistics, warehousing, and storage. Shippers are starting to view logistics providers as partners that can help ensure timely delivery and improve the customer experience. Seaman’s Beverage & Logistics of Belleville, NJ, has just added 780,000 cubic square feet of new warehousing space. Seaman’s Beverage & Logistics was recently featured in a PATCH article about top NJ companies that are hiring, and we are honored to have been ranked #8 in the NJBIZ Fast 50 2018 list. December is a great time to review your warehousing and supply chain contracts for the new year.  An experienced partner is critical for wine and spirits wholesale delivery, warehousing, storage, and last mile logistics. Nicknamed Industry 4.0 for the Fourth Industrial Revolution, IoT is changing warehousing by transforming tracking, accuracy and predictive modeling. The State of the Wine Industry Report 2018 is out, and important industry trends point to a tougher operating environment on many fronts. Here are the key takeaways.